Astragalus and breastfeeding connection has not been thoroughly studied and possible astragalus side effects and safety for lactating mothers and babies are unknown. It’s better to avoid astragalus extract all together during pregnancy and breastfeeding stages. 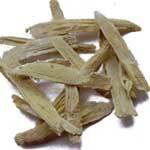 Astragalus tea may interact with other prescription medications. Medications like Cytoxan and Neosar are prescribed to lessen body’s immune system protection and make drug therapies more effective. Astragalus compounds may lower the effectiveness of these drugs. Additionally, astragalus might counteract corticosteroid medications purpose and make treatment less successful. Due to lack of proper research and data on astragalus side effects, do not attempt astragalus therapy without consulting with a knowledgeable herbalist or a natural health practitioner.